Confirming reports from Tuesday and Wednesday, the New York Rangers officially announced Thursday that Boston University associate head coach Steve Greeley will become the Rangers’ Assistant Director of Player Personnel. BU has not announced a replacement, though a report from Mike McMahon of College Hockey News says current Director of Hockey Operations Scott Young is expected to be named to the position. Boston University associate head coach Steve Greeley is expected to depart BU and accept a scouting position with the New York Rangers of the NHL, according to Jeff Cox of SB Nation. 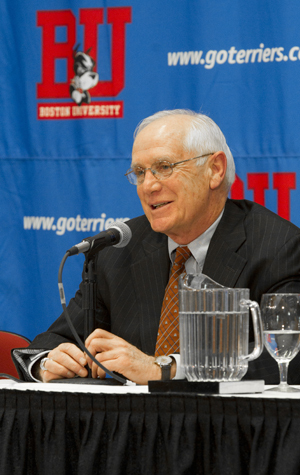 Multiple sources have indicated BU assistant Steve Greeley will leave Terriers program to join scouting staff with New York Rangers. UPDATE on Wednesday, 12:40 p.m.: Several reports are indicating that Greeley’s new job will include a front-office position. Regarding my Steve Greeley tweet from last night: his new position with NYR is more front office, player personnel than just pure scouting. Mike McMahon of College Hockey News reports that current Director of Hockey Operations Scott Young is expected to take Greeley’s position. Greeley, who played at BU from 2000-04, became associate head coach in 2013, replacing Mike Bavis. Six years prior to that, Greeley was a scout for the Los Angeles Kings. Greeley has been widely praised for his recruiting ability, and is responsible for several of the pieces that helped guide BU to a spot in the national championship game last season. This story is still developing, so we’ll update this post as more information becomes available. Stay tuned. It’s been three-and-a-half years since Charlie Coyle left the Boston University men’s hockey team midseason to pursue his professional career, but it doesn’t change how much his time at BU meant to him. Growing up in Weymouth, Coyle watched a few games at Walter Brown Arena and dreamed of suiting up for the Terriers. He never hit the ice in the historic rink for a game during his collegiate career, but he got the chance to in the first annual Comm Ave Charity Classic to benefit Compassionate Care ALS on Friday night. Coyle, along with 17 other BU alums, 18 Boston College alums and a few special guests, took part in a game that pitted old rivals against each other to help raise awareness and over $55,000 for amyotrophic lateral sclerosis. “You want to help out as much as you can, so I think when every guy got the text, they wanted to play today, kind of jumped at the opportunity and they’re happy to do it,” Coyle said. The Minnesota Wild forward netted a hat trick in the process and guided BU to a 7-5 win over the Eagles. And though the game was just for fun, Coyle said the intensity of the BC-BU rivalry never wanes. He also reiterated just how much being a member of the Terriers contributed to him becoming the player and professional he is today. For BU, roster spots on Friday night weren’t as readily filled with current NHL talent as those of its BC counterparts. Some had a prior commitment, as former Terrier Brandon Yip’s wedding is this weekend. 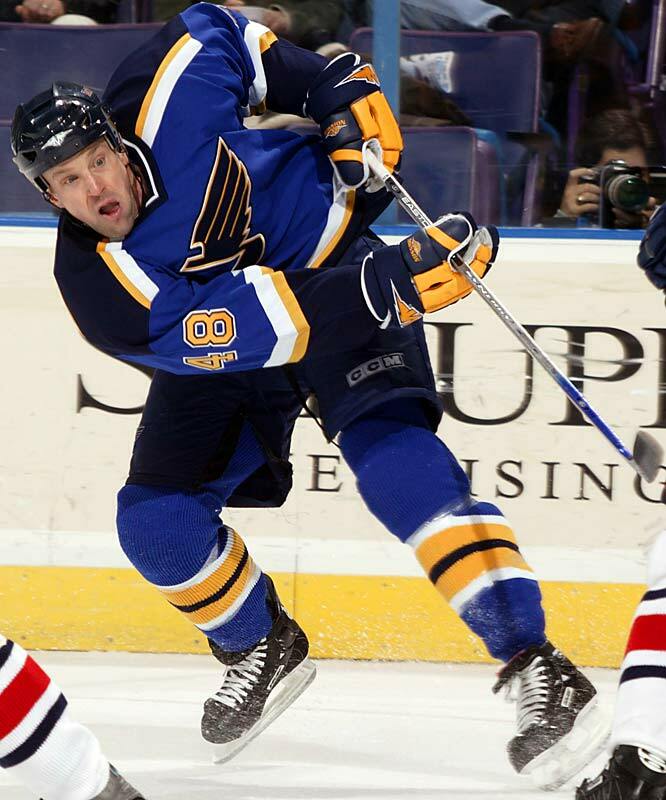 But what the scarlet and white lacked in that area, they made up for with veteran talent, including the likes of former BU standout and ex-NHLer Scott Young. 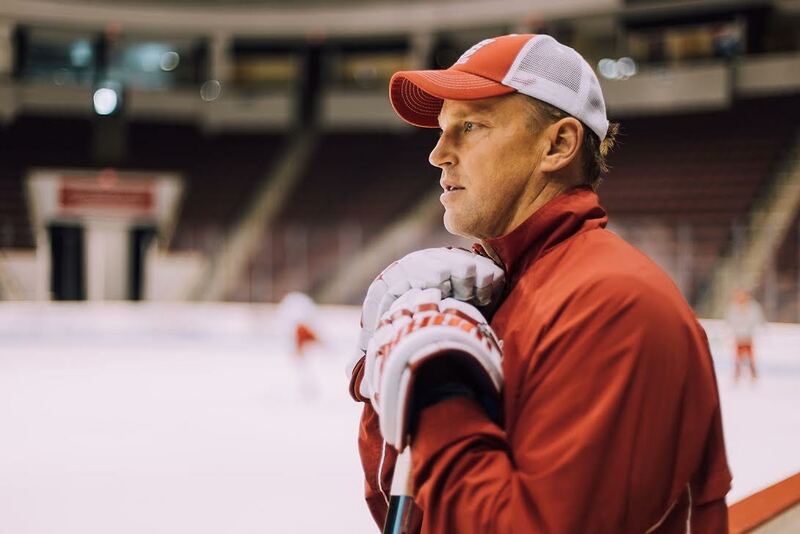 Currently the Director of Hockey Operations for the Terriers, Young won the Stanley Cup on two occasions — once with the Pittsburgh Penguins in 1991 and again with the Colorado Avalanche in 1996. He also donned the red, white and blue for Team USA in three Olympic Games and served as the head coach of St. Marks School in Southborough from 2010 until he returned to BU in 2014. The forward has collected various other accolades in his hockey career, including Hockey East Rookie of the Year in 1986, and racked up 756 career points in 1,186 NHL games. It seems even after all this time, Young’s still got it. At one point in the game Friday, Young was exiting the defensive zone and a teammate tried to get the puck up to him to start a rush.